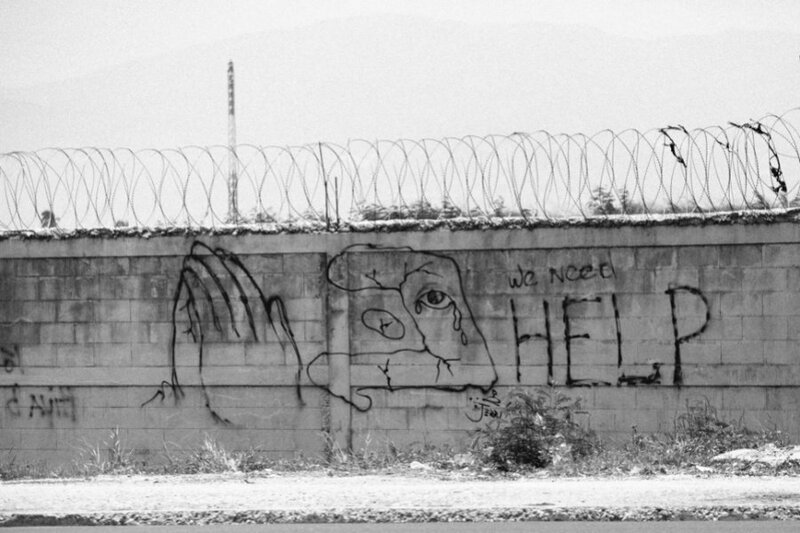 Lend a helping hand. Photo courtesy of One Kid One World. We spend a lot of time thinking about — and planning for — trip experiences that go beyond the standard beach vacation. How can we connect with locals? Contribute to the economy? Make new friends? Make some meaning for ourselves? And do so in a dignified manner — without exploiting the environment or the people in it? The world of volunteer travel is a tricky one, but we've found a number of organizations that take great pains to evaluate needs, give assistance with respect, and utilize the traveler's skills and resources to great, positive effect. We searched, polled, interviewed, and collected anecotes from participants (incuding Fathom contributors) and organizers in the realm of health, food, environment, animal welfare, and education to assemble what we think are 24 great opportunities to do good wherever you go. Photo courtesy of Bridge the Gap Villages. Mission: Bridge the Gap fosters economic sustainability through tourism, apprenticeships, business mentorship, and local employment. Best for: Anyone interested in Fijian culture. 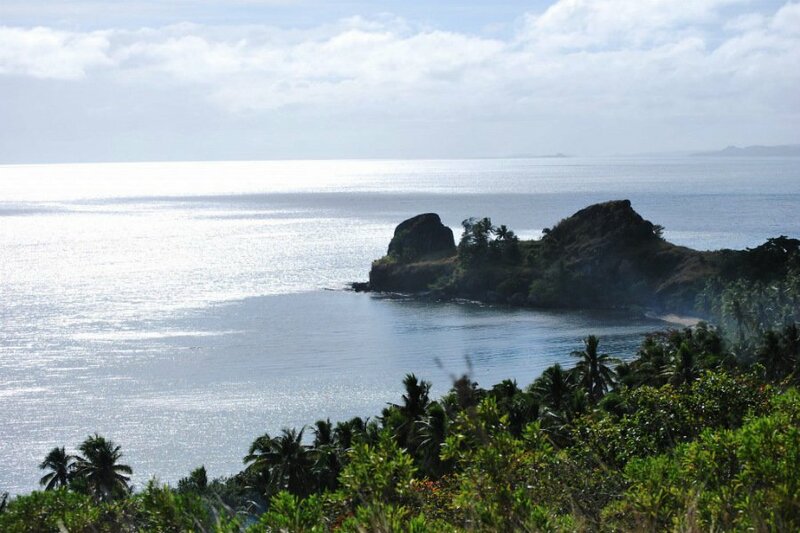 Your job: Singing and cooking with the locals, learning the language, and enjoying the natural beauty of the island. What we love: Enjoy all the perks of a beach vacation while learning from locals. Your money goes right back into the community. Good to know: Create jobs and learning opportunities while empowering cultural and environmental pride. Intensity level:Low. It's mostly about your economic contribution to the local tourism industry you are helping to create. Mission: Pedruxella Gran creates and promotes organic farming in their historic olive grove. Best for: Ecoconscious food fans. Your job: Consider yourself an ol' farmhand. Care for the gardens and animals, prune and harvest olives and carobs, etc. What we love: The farm has been family owned and operated for 40 years. 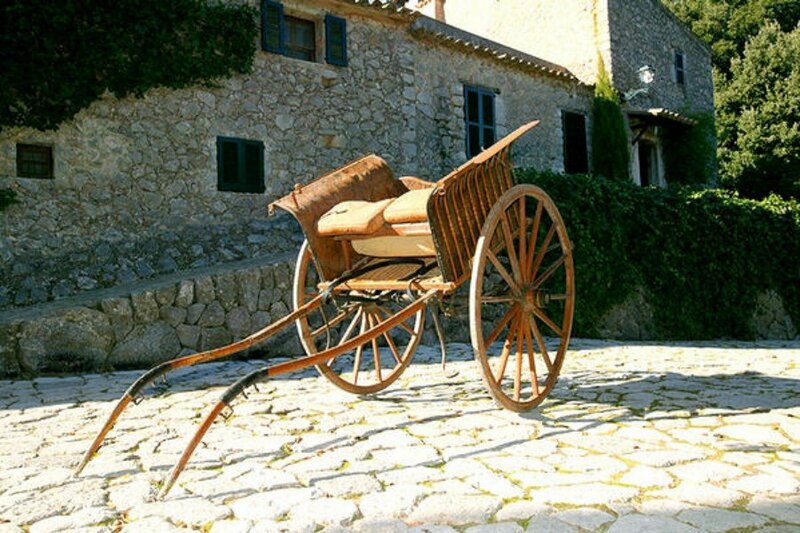 The property dates back to the 13th century and is listed in Spain's historic catalog. Good to know: There's always time for hiking, swimming, biking, and relaxing on the property. Intensity level: Medium. Volunteers farm six hours a day, five days a week. Photo courtesy of Mercy Ships. 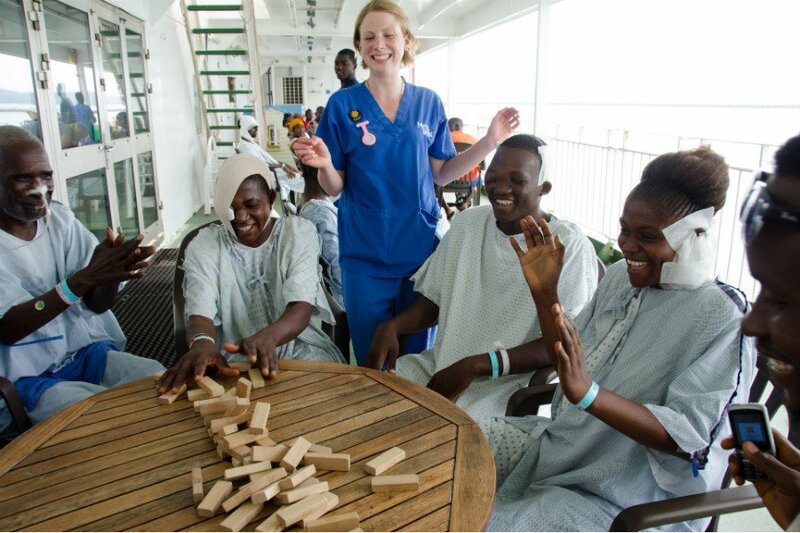 Mission: Mercy Ships' Africa Mercy is a floating hospital that provides medical care to developing countries. Best for: People comfortable in a hospital environment. Doctors and nurses a plus. Your job: The ship is like a small city and needs everyone from cooks to teachers to receptionists to keep it running. What we love: A serious mission, the tightly knit community keeps things fun with sporting activities, excursions, and time off for volunteers. Good to know: It's a faith-based organization with a vibrant church scene. Intensity level: High. But if you think the concept of a traveling hospital is as awesome as we do, this is a cause worth sailing the seven seas for. Photo courtesy of The Great Projects. Who: The Great Projects facilitates trips with local organizations that work with endangered animals through ecofriendly research and rescue missions. Best for: Animal lovers with craftsmanship skills. Your job: Provide extra muscle — welding, building, and carpentry skills a plus. 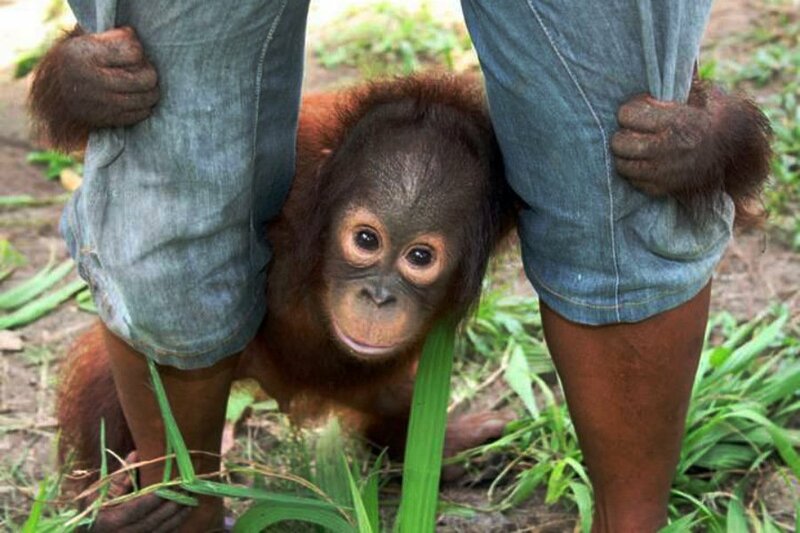 What we love: Rehabilitating orangutan populations in Indonesian Borneo and saving tigers on safari in India. Good to know: Trips are short-term and family friendly, so cancel your beach vacation and save elephants instead. Intensity level: Medium. Difficulty depends on the animal and its environment, but staying in beautiful eco lodges, wildlife conservation centers, and safari parks make the experience extra special. 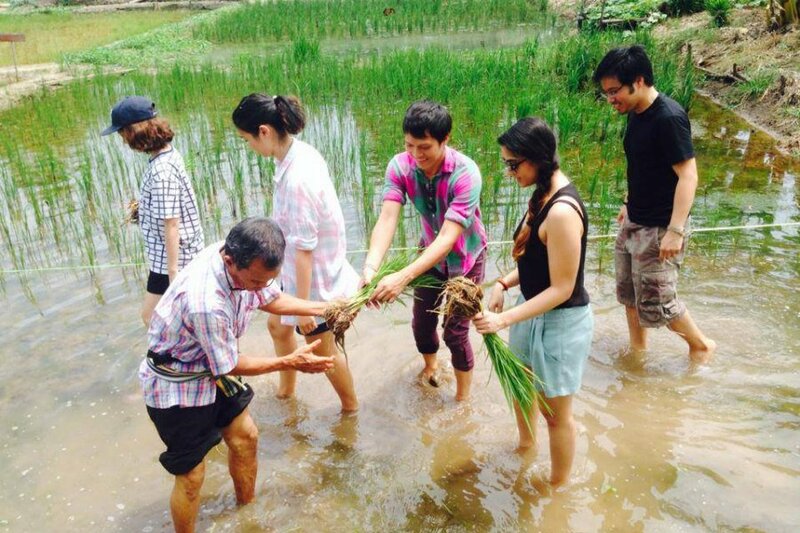 Mission: Local Alike creates economic growth and employment opportunities in rural Thailand through community-based tourism and cultural exchange. Best for: People who want to explore Thailand's jungles and villages with people who know it best. Your job: Support villages through cross-cultural engagement. What we love: Immerse directly with locals as they welcome you into their homes. Good to know: Various activities are lead by people in the communities: mountain climbing, camping, tours, etc. Intensity level: Low. Camping and trekking trips are more intense than village stays. You can expect hot water in some places, but forget about WiFi. Mission: English in Mind Institute helps Haitian adults find long-term, meaningful employment by teaching them English. Best for: People with classroom experience who love kids. 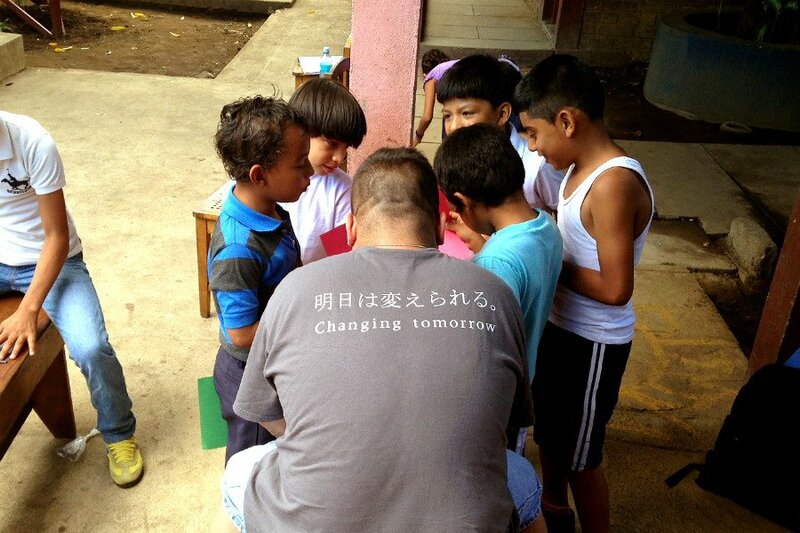 Your job: Spend mornings volunteering at orphanages and afternoons teaching English to adult students. What we love: The ten-day volunteer trip includes a tour of Port-au-Prince and some beach time. Good to know: A thing or two about teaching English. It helps if you know French, too. Intensity level: Medium. Working with non-English speaking children and adults in poverty is intense but well-balanced with some beachy relaxation. Photo: Gary Parker / Courtesy of WAVES for Development. 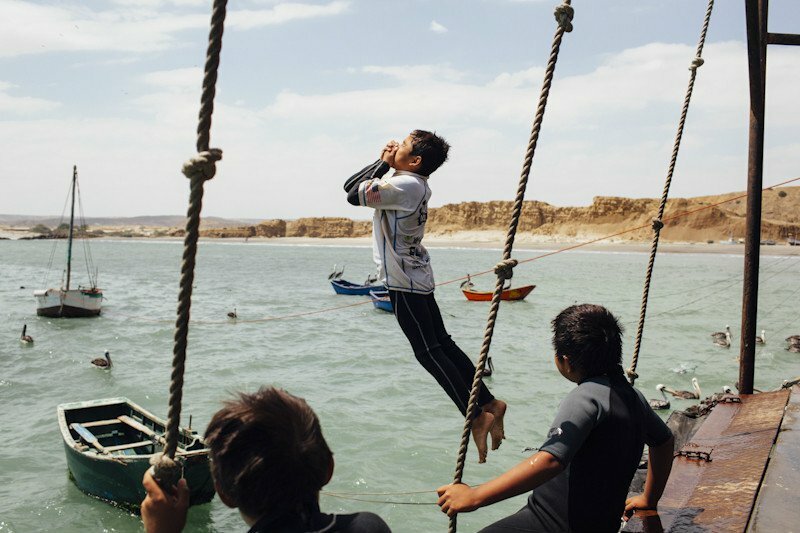 Mission: WAVES for Development teaches at-risk youth to surf and engage with nature. Your job: Participate in community service activities such as beach clean-ups, and assist with English language instruction or other school classes. What we love: Community outreach, environmental education, and economic empowerment are all part of the deal. Good to know: Volunteers educate based on an area of expertise — art, business education, computer science, etc. Teaching a child how to use a camera on the beach can change the entire course of their lives. Intensity level: Low. Working with kids, catching waves, hangin' ten. Photo courtesy of Spark Ventures. Mission: Spark Ventures is a business-driven philanthropy that partners with grassroots organizations to serve children in developing countries. Best for: People who want to invest in local endowments and then see their donation at work. Your job: Investor and cultural ambassador. What we love: It's about more than just dropping off a pile of supplies. 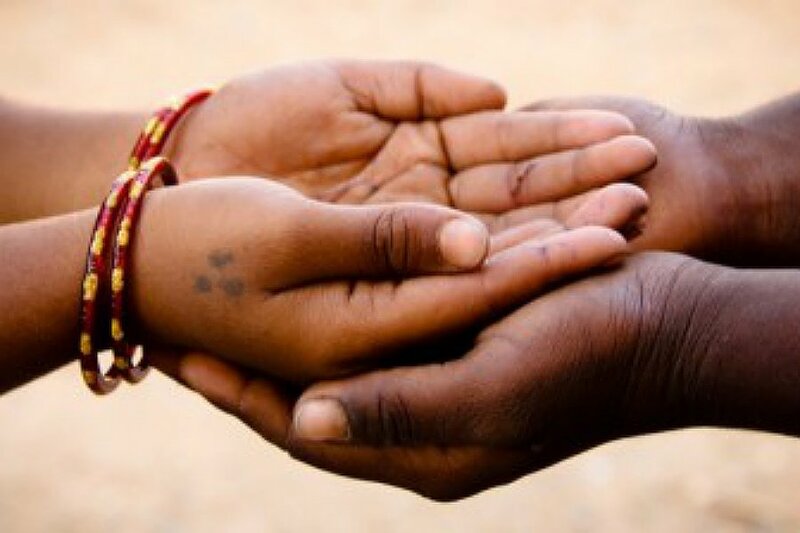 Ensure that children are benefitting from the aid provided to become successful community members. Good to know: Week and weekend long Executive Trips are options for busy professionals who want to give back. Intensity level: Low. 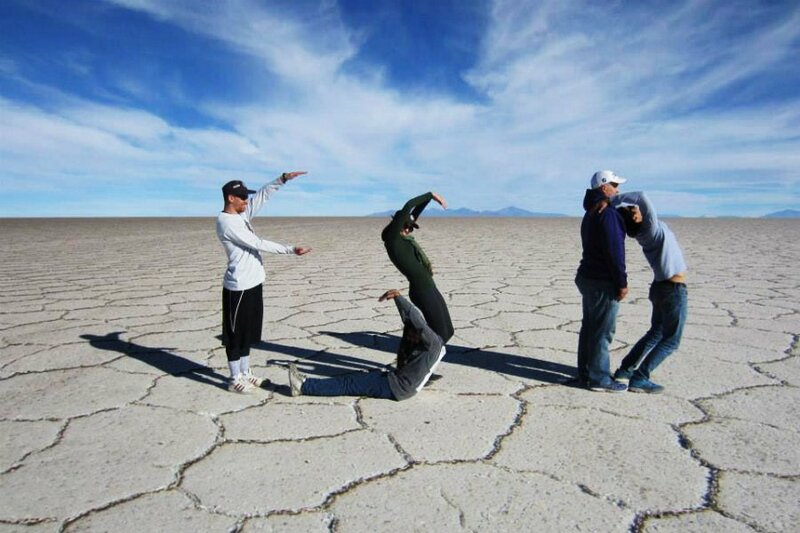 Trips are short and most activities involve play. Who: Viamistad runs camps that foster friendships between people with and without disabilities. Best for: Patient souls. Spanish speakers desirable. Your job: Work one-on-one with a disabled camper and facilitate activities at Camp Kikotimaal. What we love: Defying stereotypes of disabled people through lasting friendships. Good to know: Camp is ten days and activities include all the fun, campy necessities: swimming, horseback riding, arts, sports, and field trips. Most volunteers are Guatemalan, but people from the U.S. volunteer every year. Intensity level: Medium. Working with the disabled requires patience. But it's mixed with campfires, starry nights, and laid-back fun. Here's the story: Watch the video. Photo courtesy of Relief Riders International. 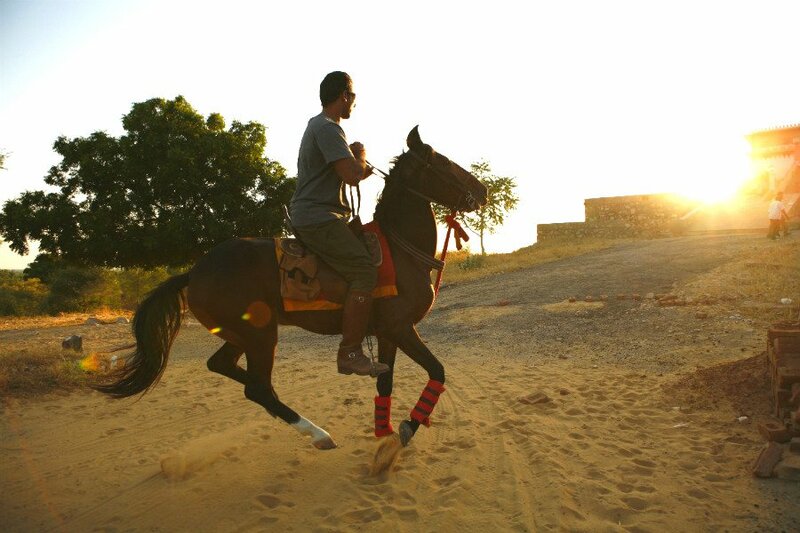 Mission: Relief Riders International provides humanitarian relief to the people of Rajasthan, India, on horseback. Your job: Ride alongside founder Alexander Souri and his team of doctors and help set up medical camps in small desert villages. 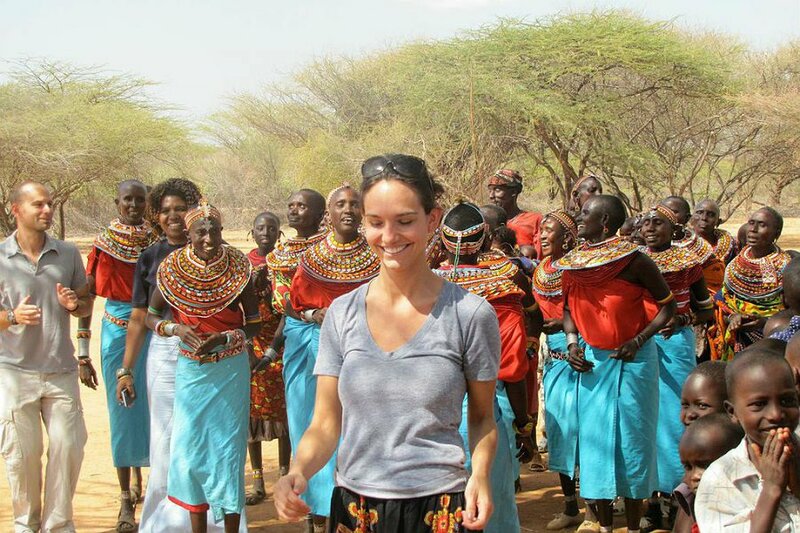 What we love: The extremely unique experience of volunteer and adventure travel. Good to know: Fast and slow paced riding groups are organized. Non-medical volunteers are welcome. Intensity level: High. It's a unique experience of bonding, immersion, and seeing a side of India you would never experience on a regular tour. Photo courtesy of Foundation for Sustainable Development. Mission: Foundation for Sustainable Development trains students and professionals while providing support to partner NGOs in developing countries. Best for: Interning abroad, gap year students, and young professionals. Your job: Engage in community-specific issues (environment, economy) and monitor their efficacy. What we love: Understand the inner-workings of the NGOs that you're supporting. Maybe it'll inspire you to start your own one day. Good to know: ProCorps Volunteer trips are for professionals with five-plus years of experience in a specific area of focus. Global Service Trips are short-term group trips organized through local partners. Intensity level: Medium. Programs are immersive and can last up to a year. Photo courtesy of One Kid One World. Mission: One Kid One World rebuilds dilapidated schools for communities in need. Best for: Travel junkies who love kids. What we love: Trips are hands-on and allow you to form friendships with the people who benefit from your donations. Good to know: Trips to Kenya are a week long and include multiple school visits. El Salvador trips are run over a long weekend and are spent at one school. Intensity level: Low. "Extreme Classroom Makeovers" involve cleaning and decorating classrooms to the beat of a local DJ. Photo courtesy of Tibetan Village Project. Mission: Tibetan Village Project facilitates cultural exchange between travelers and the people of the Tibetan Plateau. Best for: People who want to make real connections with local communities. Your job: Participate in service projects and/or explore the country with locals. 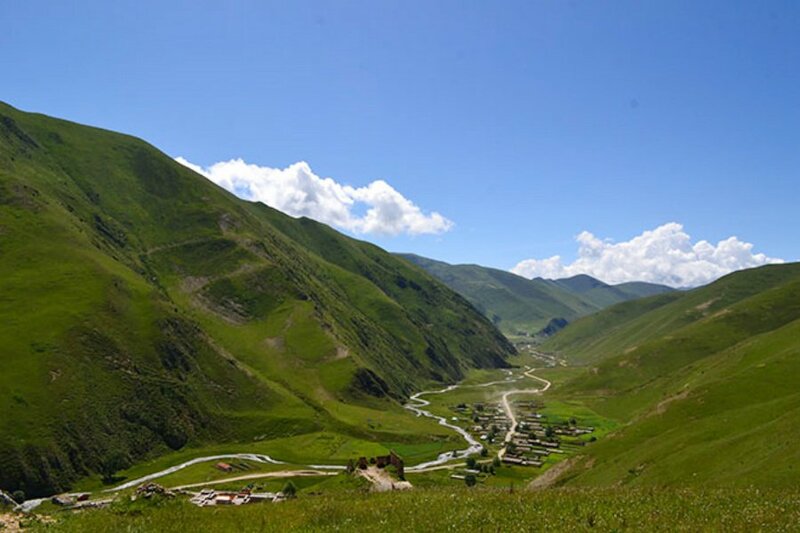 What we love: Staying at Tibetan family homes instead of at hotels gives you a glimpse into daily life in the region. Good to know: Conscious Journeys, the org's responsible travel program, carefully plans sustainable travel experiences with local Tibetans. Intensity level: Low. Some trips are heavy on direct service and volunteering, while others focus more on travel. Photo courtesy of Projects Abroad. Mission: Projects Abroad encourages young people to volunteer for worthwhile causes to make society more service-minded. Best for: Students looking to volunteer or intern. Projects for professionals are also available. Your job: Be an extra set of hands. What we love: Interning at a Human Rights NGO in Argentina, teaching English as a foreign language, and coaching children's sports teams are all options. Good to know: The most popular programs are the Care Projects, which involve working with children at orphanages and day care centers. Intensity level: Varied. Long-term trips involve certifications; Alternative Spring Break trips are great for college students; Global Gap Year options for recent grads are endless. Who: Sierra Club builds and maintains trails, parks, and wildlife conservation areas throughout the U.S. Your job: Mother Nature's personal janitor/custodian. What we love: Pioneer conservationist John Muir founded the organization in 1892, before conservationism was even a thing. That's legit. 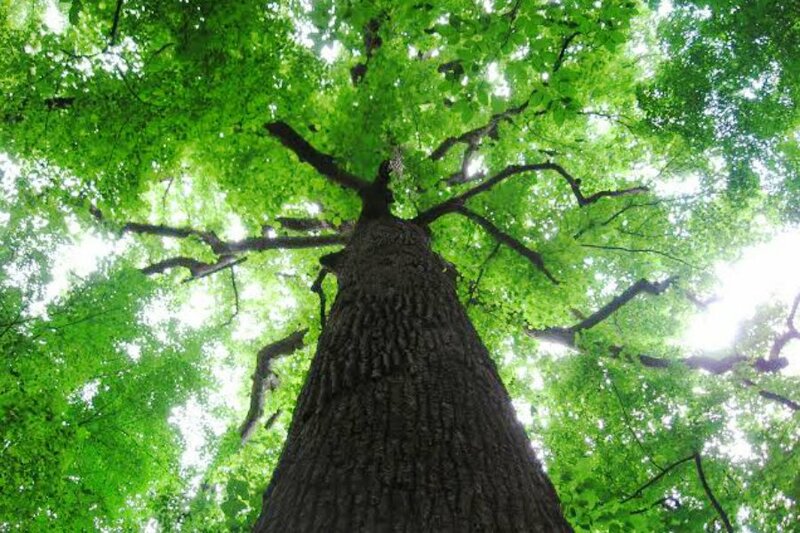 Good to know: It's the largest and most influential environmental organization in the United States. Intensity level: High. Trips involve long hours of outdoor physical labor. But nature is invigorating. Photo courtesy of Oceanic Society. Mission: Oceanic Society deepens the connection between people and the ocean through conservation and travel programs. Best for: Families and couples who want to learn more about marine life (and don't get seasick). 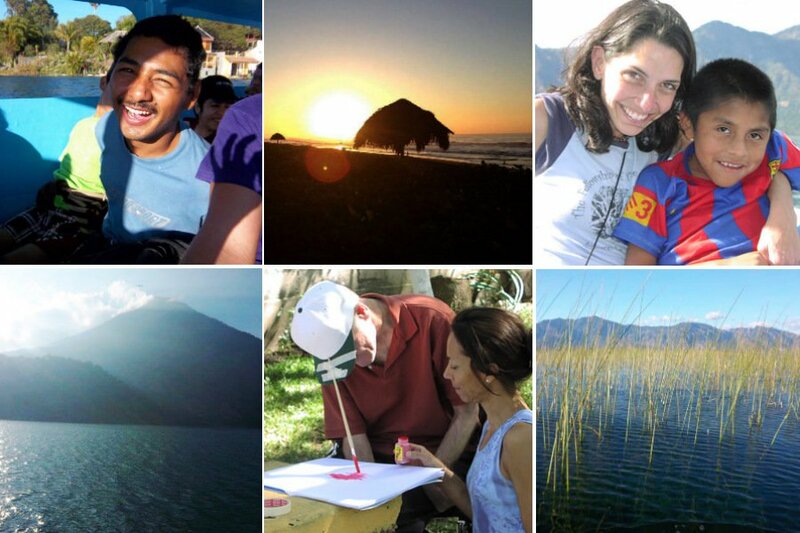 Your job: Accompany scientists on sea-bound research expeditions. 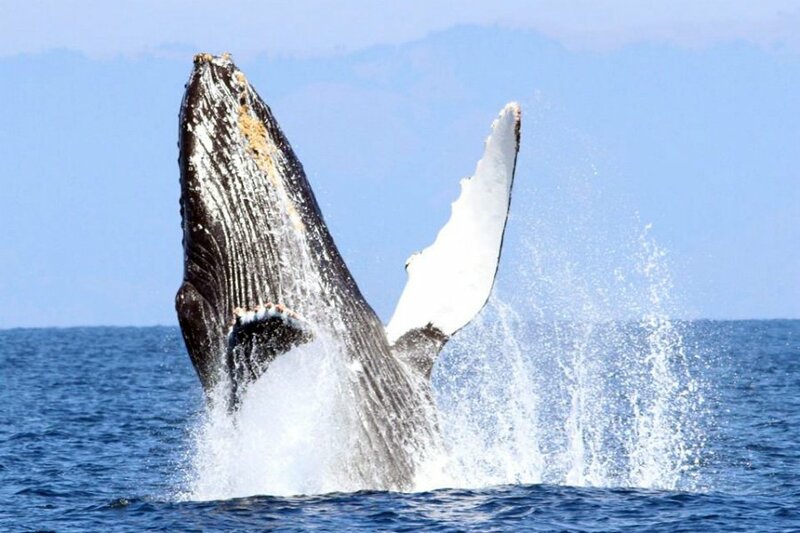 What we love: Whale watching, polar cruises, snorkeling adventures, and wildlife encounters. Good to know: Expeditions are all over the world, concentrated mainly throughout the Pacific. Intensity level: Low. Explore local environments and monitor marine life. Photo courtesy of Ridge to Reef Farm. 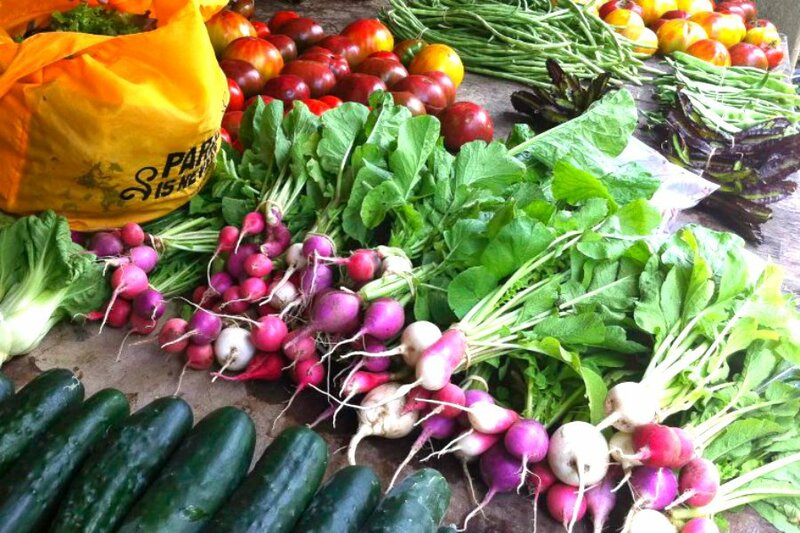 Mission: Ridge to Reef organic farm encourages a healthier island lifestyle. Best for: People who want to learn about organic farming. On a tropical island. Your job: Become a steward of the land. What we love: The only certified organic farm in the Virgin Islands stresses respecting local communities as much as its agriculture practices. Good to now: Take a day tour or opt for a longer Farm Stay. Go camping, stay in a tree house cabana, or upgrade to the Hawk's Nest, a beautiful villa overlooking the farm. Organic-minded couples can also get married on the farm for an adorably sustainable wedding. Intensity level: Low. Learn from natives and forge a deeper connection with nature. Photo courtesy of the Pachamama Alliance. Mission: The Pachamama Alliance immerses volunteers with the Achuar people, one of the most remote and intact indigenous cultures on the planet. 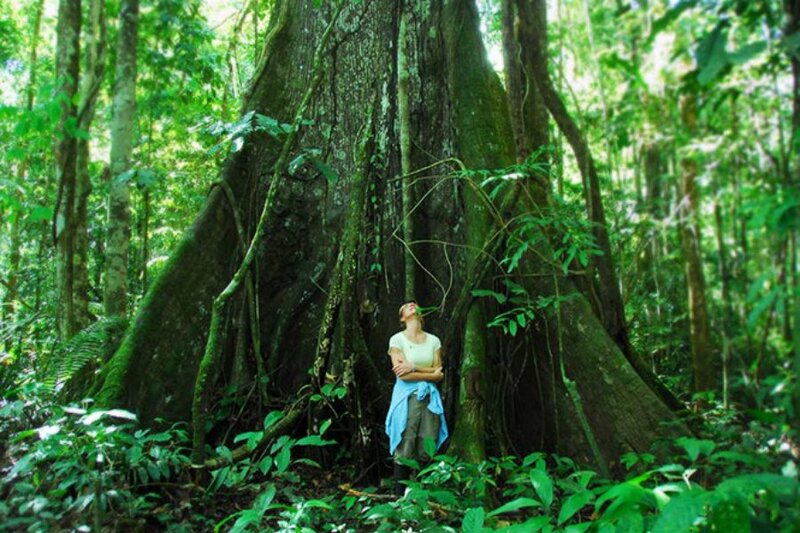 Your job: Participate in the traditions of an indigenous Amazonian tribe. What we love: Unplug your phone. Connect with nature. Good to know: Weeklong trips in Ecuador focus on a different aspect of the Achuar way of life. Earth-based spirituality, Amazonian immersion, and exploring ancestral lands are all possibilities. Intensity level: Medium. The jungle can be tough (bugs. animals. heat. ), but the trip is all about cultural exchange. Photo courtesy of Marine Volunteers. Mission: Marine Volunteers is dedicated to ocean conservation. 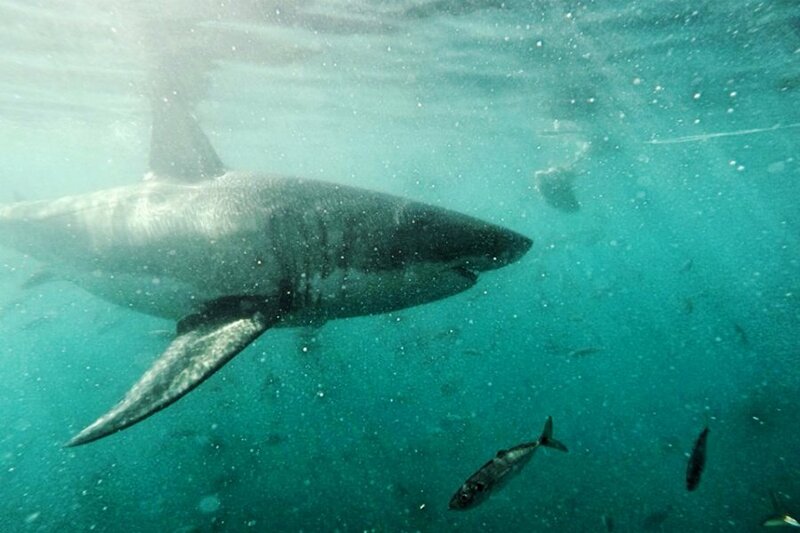 The Gansaabi, South Africa-based program is run by a crew of marine biologists and endangered species specialists. Best for: Nautical obsessives with sturdy sea legs. Your job: Study behavior, biology, and ocean conservation with marine biologists. Jump in the water with the ocean's most menacing (misunderstood?) species. What we love: Stay a week at the Great White House and a donation is made in your name to the African Penguin Project. Good to know: Those scarred by Jaws can work at a penguin-nesting site or monitor whales and dolphins. Intensity level: Low. You'll be on deck for the most part, but shark diving is available — if you're up for it. Photo courtesy of Atoll Volunteers. 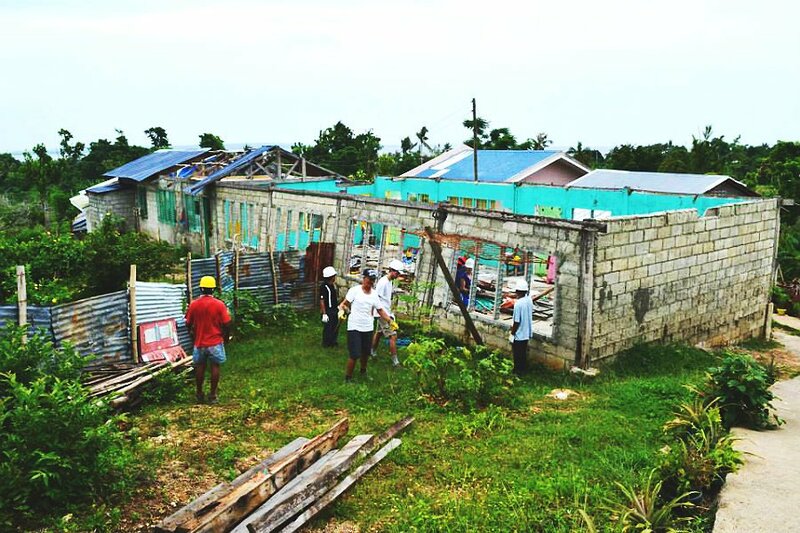 Mission: Atoll Volunteers builds a strong, self-sustainable community. Best for: Anyone who wants a side of cultural immersion with their beach vacation. Your job: The island is big on sports. Act as a children's football coach or fitness instructor. What we love: Community development, marine conservation, and education are stressed. Also, the Maldives. Enough said. Good to know: Programs range from two to twelve weeks. 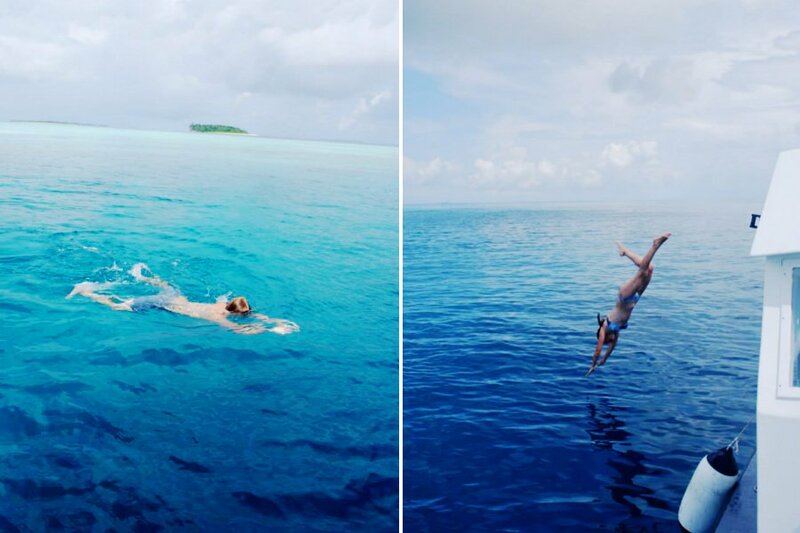 Island excursions, snorkeling and fishing trips, and diving expeditions are all possibilities during time off. Intensity level: Low. Tropical beaches, friendly locals, and beach volleyball hardly sounds like work. Photo courtesy of United Saints Recovery Project. 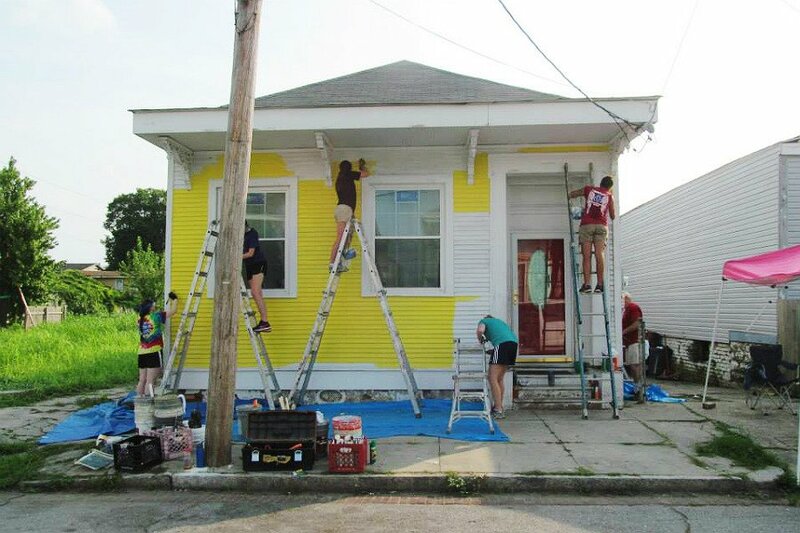 Mission: United Saints Recovery Project rebuilds and strengthens New Orleans communities that have been affected by Hurricane Katrina (yes, there's still work to be done). Best for: The willing and able. Your job: Get physical gutting, painting, flooring, sanding, and repairing damaged homes. What we love: ;The org sponsors specific families; you'll work on one home at a time. Good to know: Short and long-term volunteer options are available. Long-term volunteers stay in dorms with bunk beds, and some meals are included. Intensity level: Medium. Projects are physically demanding, but you'll have all the comforts and celebration that comes natural to The Big Easy. Photo courtesy of H.E.L.P. Malawi. Mission: H.E.L.P. 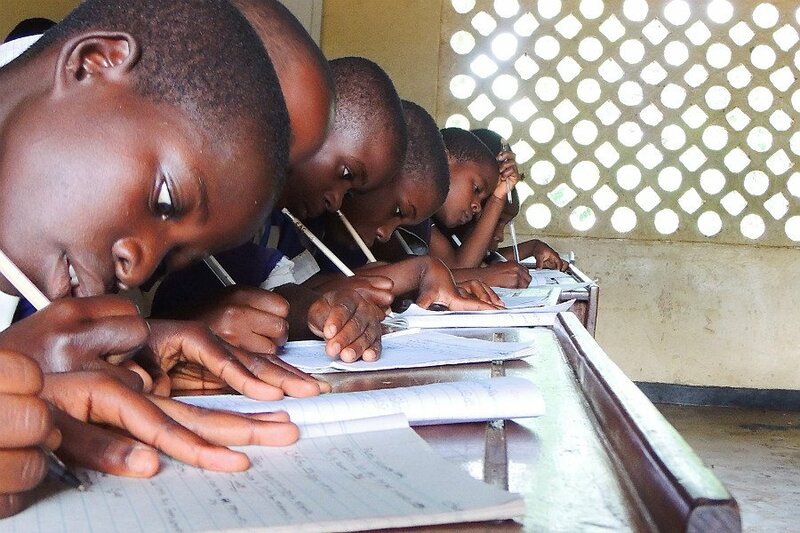 Malawi provides education for the children of rural Africa. Best for: People with prior classroom or tutoring experience. Your job: Tutor in remedial English and instruct after school English lessons and activities at Nanthomba Primary School. What we love: Lifestyle Programs encourage children to stay in school and develop skills like sewing, tailoring, musicianship, and computer proficiency. Good to know: Volunteers live in dorms at the Namthomba school. A minimum of three months commitment is required. Intensity level: Medium. It's a long time away from home, but the Malawi people are warm and inviting. Photo courtesy of Radiating Hope. Mission: Radiating Hope raises money for cancer research by leading mountain climbs. Best for: Real-deal mountain climbers. Beware if you have a fear of heights. Your job: Climb the world's highest peaks and help scientists get one step closer to curing cancer. 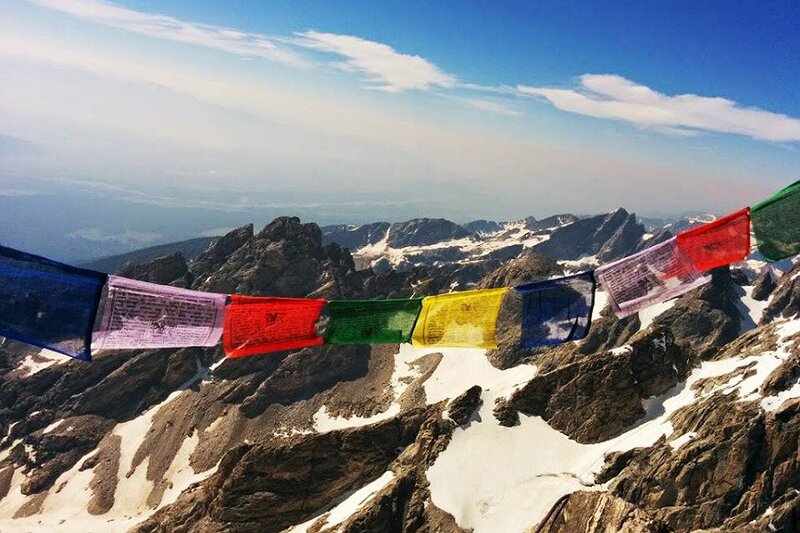 What we love: Climbs have been led on eleven mountains in seven countries on six different continents and counting. Talk about really seeing the view from the top. Good to know: Training and fundraising is required before setting out on a climb. Intensity level: High. Appropriate physical training and gear are required before setting out. High altitudes only make the hike tougher. But isn't it all worth it when you're standing on top of the world? Mission: Nest works with local artisans to enhance their brands on a global scale. Your job: Craft alongside Oaxaca's local pottery makers. 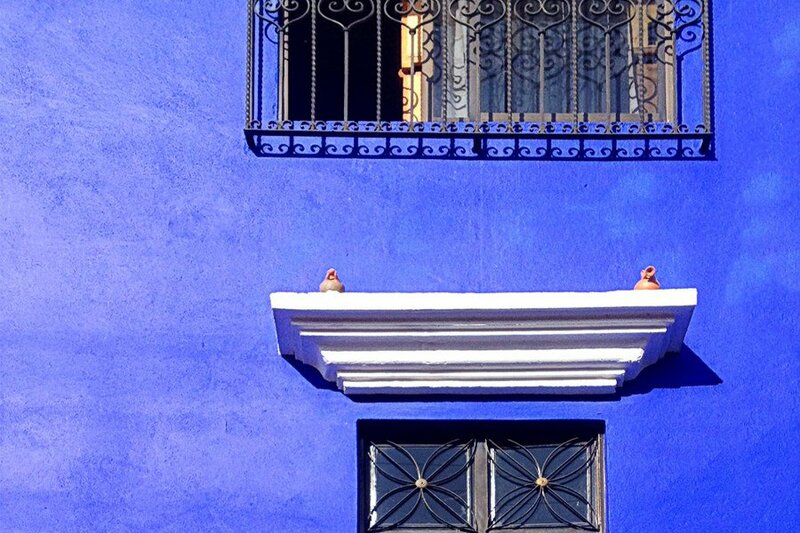 What we love: Integrate cultural immersion with travel while supporting local business and original craft. Good to know: The trip is five days long and will run this January. Intensity level: Low. Stay in colonial-style boutique hotels, get a taste of favorite local dishes, and dance the night away in the city's local square. Return home with a beauitful, handmade keepsake of your own.